Trimroc light coves are offered in many unique designs to match any environment. They add a custom appearance to any room. Manufactured with the patented Canamould process, Trimroc light coves come together to deliver durability and ease of installation. 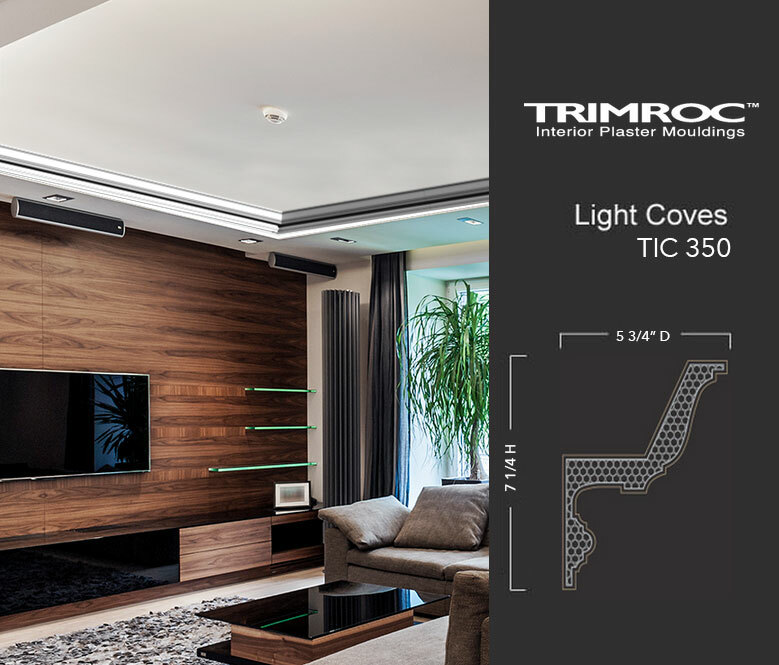 You can be assured of Trimroc’s high standards for quality and thoughtfully designed details. Whether you want to create dramatic lighting in commercial environments, or simply add subtle accents to a room, Trimroc light coves add the special feature to make your space stand out.